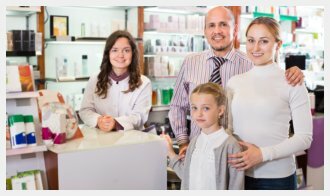 Maxwell Pharmacy, Inc. is a pharmacy where we passionately serve our customers with a smile. We want to provide you with high-quality service so you won’t have to waste your time gong to other stores to complete your medication list. As a drug store in East Harlem New York, New York, Maxwell Pharmacy, Inc. offers over-the-counter and prescription medications, medical and surgical supplies, and health and beauty aids in New York, New York. Contact us for any questions. If you are interested of this service, please contact us or call us at 212-534-7700. If you have any concerns regarding your medication, please visit our Pharmacist Consultations page. To know if your insurance plan is covered by our pharmacy, please visit our Insurance Accepted page.